I can certainly relate to that pumpkin. stunning idea – Each year, the Great Pumpkin rises out of the pumpkin patch that he thinks is the most sincere. I wonder how many horror stories start with a problem the main character thought they had swept under the rug. This is beautiful, did you make a wish? 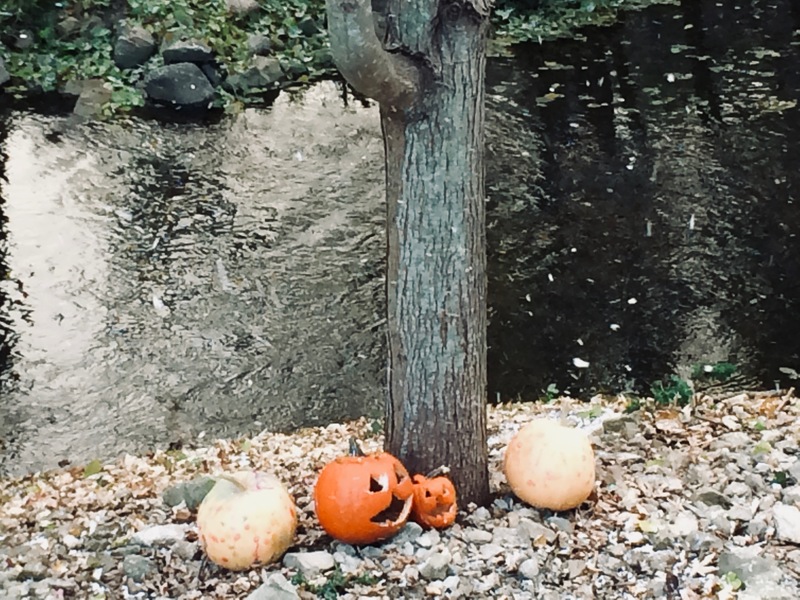 Those pumpkins do look surprised. It got cold here, but no snow. The pumpkins are feeling rotten about it, Beth. ignoring facts (and reason) seems to be all the rage – winter is coming, there is no avoiding it. I’m with the pumpkins, roll on spring. I think the pumpkins have some knowledge we don’t. They look like they’re throwing major shade at something. The photo and your caption make a great post! I really enjoyed this post and I love the correlation you bring with quotes and the work of your own! Our trees with beautiful yellow leaves were pretty bummed about the snow, but the dogs were incredibly happy! I can’t get enough of all the snow we have been experiencing, it makes up for the chilly winter temperatures.